Pastor Jeff began serving at Woodfield Park on July 5, 2011. A 2017 Graduate of The Christian College of Georgia with a Bachelor of Arts in Christian Ministry, he brings a unique life experience to the ministry. 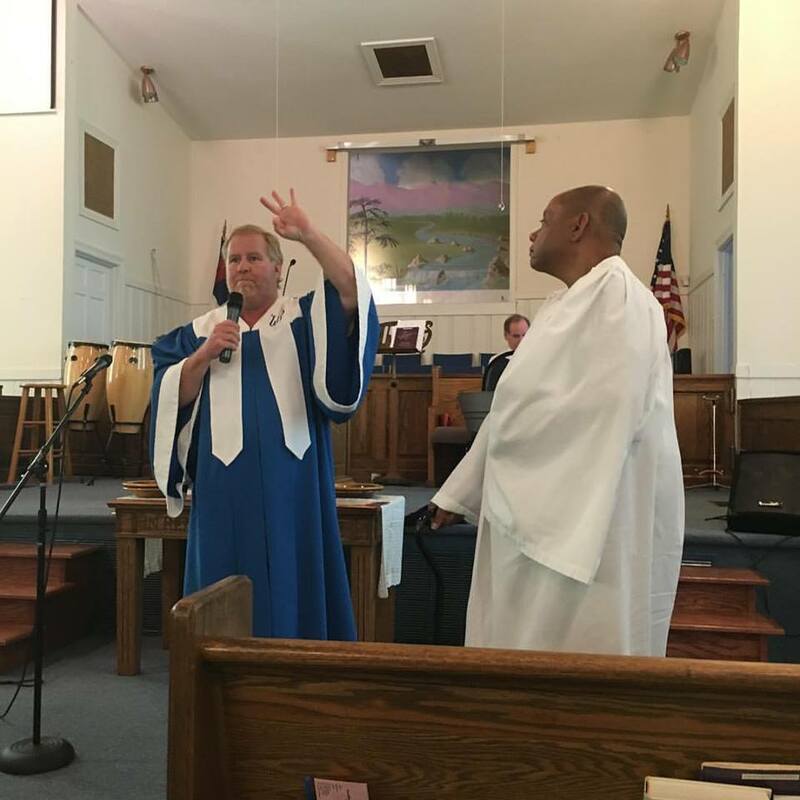 Saved and called to the ministry in 2003, he served in lay ministry at Peniel Baptist Church in Timmonsville, SC as a Deacon, Sunday School Director, and Special Events Coordinator. He preached his first sermon as part of an evangelistic crusade in Cuba in 2004. In October 2004, he returned to his native Greenville and began serving at East Pickens Baptist Church. Licensed and ordained in September 2005, he served as Assistant Pastor of Evangelism and Pastoral Care until December 2007. While there he attended Rockbridge Seminary in 2006. In January 2008, he began serving as Pastor of Oakland Baptist Church in Chesterfield, SC. He served there 3 1/2 years before accepting the call to Woodfield Park. Before surrendering to Christ and his call to the ministry, Pastor Jeff worked for the Atlanta Braves for 5 years in their minor league system, sold real estate, worked in retail management, and owned his own credit counseling business from 1996-2008. A 1982 graduate of Wade Hampton High School in Greenville, he also attended Francis Marion University and Greenville Technical College. He enjoys fishing, camping and the outdoors, and is an avid Clemson athletics, Cleveland Indians and Browns fan. He is the son of legendary Clemson radio play-by-play announcer Jim Phillips. ​Pastor Jeff was joined in the ministry in 2008 by his wife Ashley. ​Andrew joined us at Woodfield Park on June 3, 2018. He is a Senior at Columbia International University majoring in Family and Youth Ministry. A native of Seneca, SC, Andrew is the son of a Pastor and hopes to bring a fresh excitement and new ideas to our ministry for young people. He will be leading our children and youth in teaching and discipleship, activities and community service. Sandra has been serving at Woodfield Park since 2006. She is a retired federal employee from Ft. Jackson with 6 children, 12 grandchildren, and 8 great grand-children. A native of Pennssylvania, Sandra is an avid Pittsburgh Steelers fan.